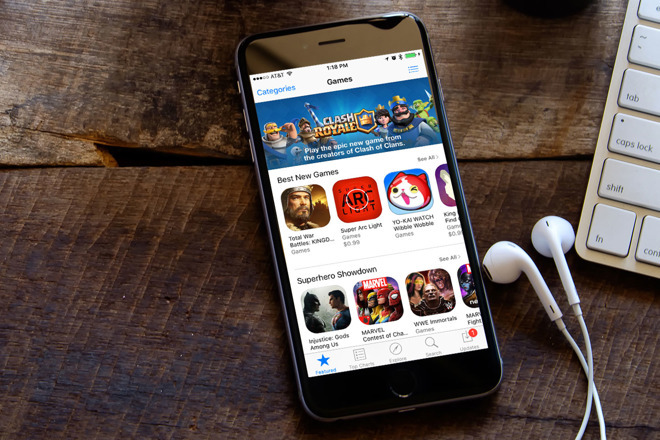 Apple began its promised purge of the iOS App Store in October, pulling some 47,300 titles, according to third-party research data published on Tuesday. 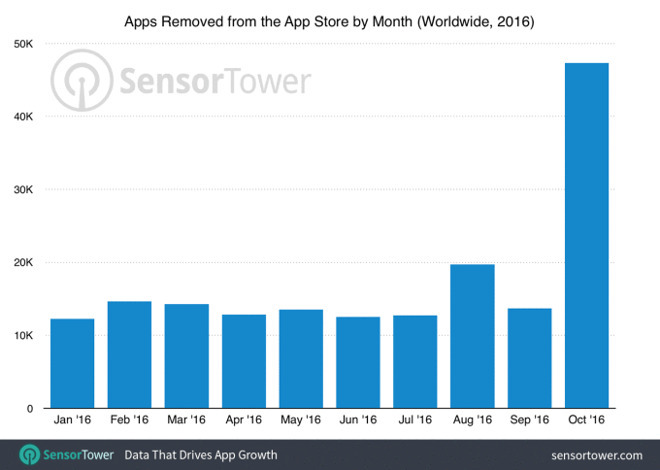 App removals jumped 238 percent last month, according to intelligence firm Sensor Tower, quoted by TechCrunch. Figures were also about 3.4 times higher than the monthly average between January and September. About 28 percent of the deleted apps were games, far higher than the next two categories —Entertainment and Books —which accounted for just 8.99 and 8.96 percent, respectively. Education came in fourth at 7 percent, while Lifestyle apps represented just 6 percent. Apple announced plans to start reviewing old apps in early September, "removing apps that no longer function as intended, don't follow current review guidelines, or are outdated." This included deleting "abandoned" titles which hadn't been given compatibility updates "for a long time." While Apple said that it would immediately remove apps that crash on launch, it added that it would otherwise send out notifications asking developers to update within 30 days if they wanted to keep their apps available. Purges are likely ongoing, as prior to October, it was estimated that nearly half of iOS apps hadn't been updated since May 2015. Over a quarter hadn't been updated since Nov. 2013.